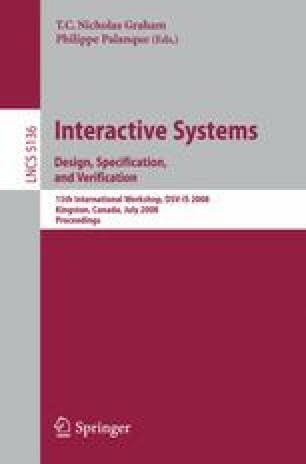 A collection of user interface design patterns for workflow infor ma tion systems is presented. Each Workflow User Interface Pattern (WUIP) is characterized by properties expressed in the PLML markup language for expressing patterns and augmented by additional attributes and models at tached to the pattern: the abstract user interface and the corresponding task model. These models are specified in a User Interface Description Langua ge. All WUIPs are stored in a library and can be retrieved within a workflow editor that links each workflow pattern to its corresponding WUIP, thus giving rise to a user interface for each workflow pattern. The software then gathers these UIs and the ones corresponding to workflow tasks into a user interface flow, a new concept introduced for specifying the intertwining of interfaces used by workers and the workflow manager in a single workflow.